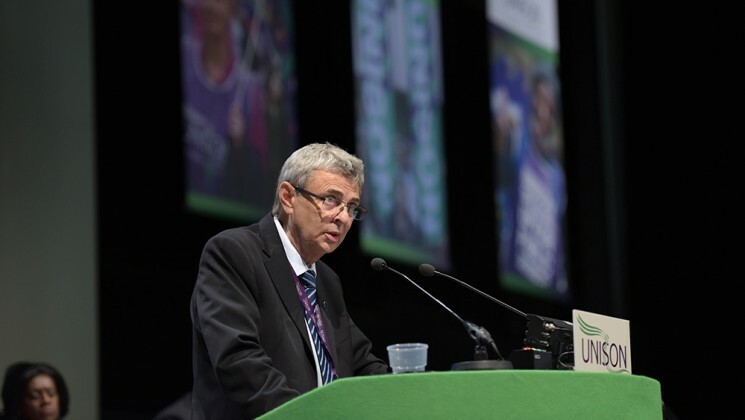 That was at the heart of general secretary Dave Prentis’s keynote speech to UNISON national delegate conference. 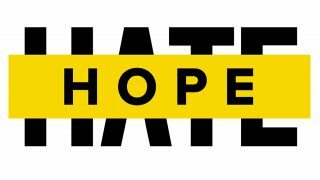 A speech that emphasised what unites members and asserted that the divisive, racist rhetoric of the likes of UKIP will not be allowed to succeed. Saying that she was also a daughter, a sister, a wife and a mother, he said that there were “no words to describe her family’s loss and our heavy hearts go out to them from this conference”. Ms Cox had stood for kindness, tolerance and respect for others, and the union would never forget her. But at a defining time in UK politics, as we consider our future in the European Union, “Nigel Farage and his ilk have been nothing short of a disgrace,” he said, employing a “dark and ugly politics”. And he had a warning for the UKIP leader. “If you pour poison into our communities … if you set worker against worker, we will take you on,” adding that he had had no second thoughts about reporting last week’s UKIP anti-EU poster to the police. To loud cheers, he told them that the previous week’s convoy to Calais, turned back by British and French forces, had made it through to the refugees – by going via Zeebrugge. And Mr Prentis also extended solidarity to Orlando, where 49 people had died as a result of “a vile, homophobic attack – an act of terrorism based on hate”. Describing an injury to one as an injury to all, he reiterated that there is more that connects people than divides them. As general secretary, he said he is “driven forward each day by a simple idea – that every worker matters, just as much as their boss”. Turning that into something tangible is not easy, he told delegates. But the campaign that the union had led against the trade union bill was just one illustration of what could be achieved. And if that was just one success story – others included the defeat of cuts to tax credits, increased councils signing up to the Ethical Care Charter and an award-winning legal team that won £28m for members last year alone. Paying tribute to the Hillsborough families’ justice campaign, he stated that, “at the outset, when others turned their back, we were there – and we will be there at the end, when all 96 get the justice that they deserve”. The union would continue to stand up, “not for what is easy – but for what is right”. 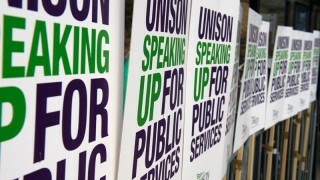 He pledged that UNISON would stand up to councils – even Labour councils – who slash our members’ wages and announced that the union would seek to ballot our teaching assistants in Durham who face having their wages cut by the council. At the end of the speech, he told delegates that, “despite all we face, there is no obstacle that can stand in our way. 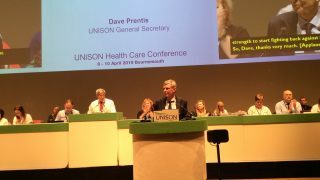 Follow the live blog and read the latest updates from the largest gathering of UNISON members.